I think everyone knows where I stand on technology. Without Jamie I would own a flip-phone that I would have to tap the 1 key 3 times just to text a “C” on and foil covered “rabbit-ear” antenna on top of my fat, heavy TV just so I can find Family Guy every Sunday. Jamie introduced me to the iPad, Apple TV, the Mac, and the “life-sustaining” iPhone. He made me the Apple whore I am today. Now, we have a new device to add to the list…. It’s beautiful……Designed by the same genius who designed the iPod and iPhone. 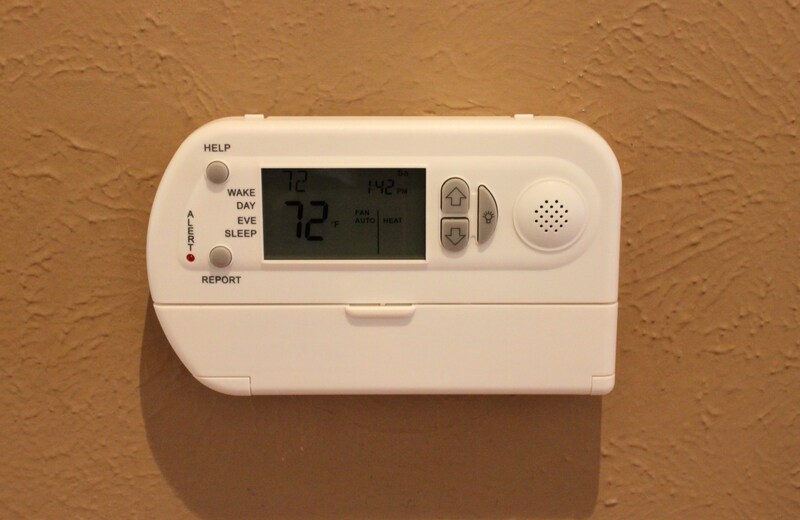 The company better known for those iPhones and iPads is now selling this high-tech thermostat. 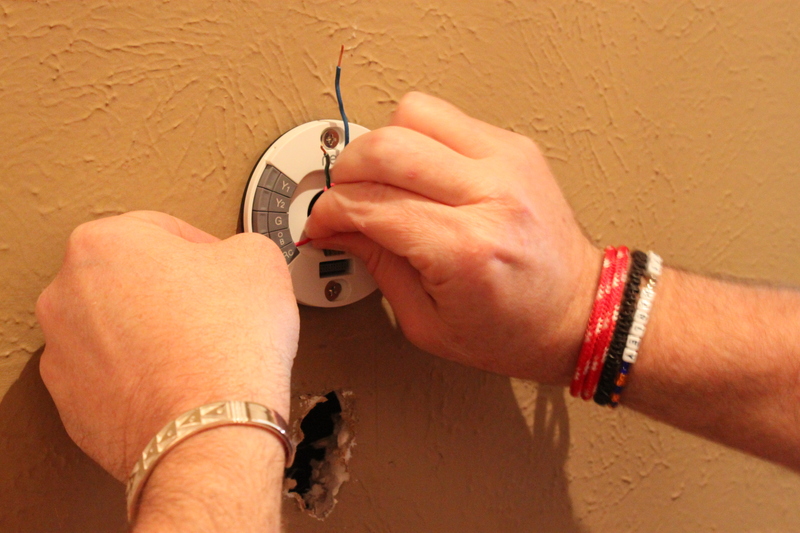 Now don’t shake your head in disbelief, because the Nest is unlike any conventional thermostats. 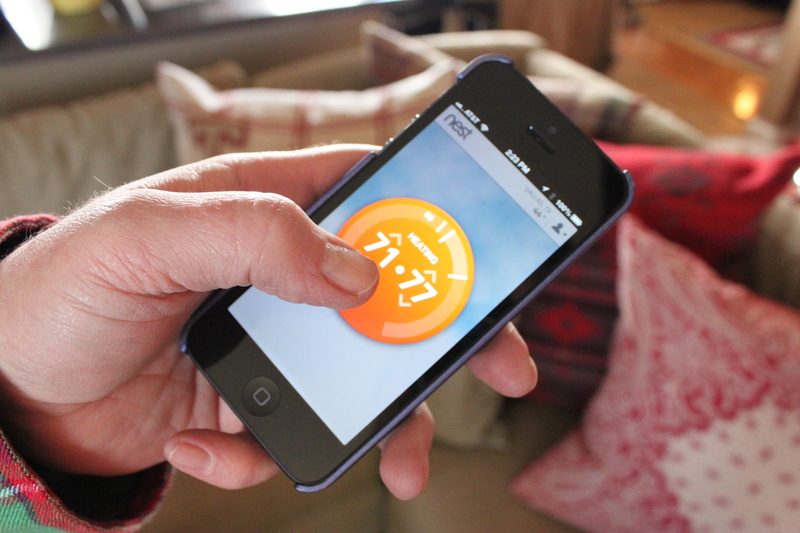 The Nest can learn and remember your prefered temperatures to automatically keep your house cool or warm. It actually turns itself off when your house is empty to conserve energy. Most importantly it taps into the power of remote control, letting you change the temperature from anywhere via your PC, tablet, or iPhone. Here’s the old one that Jamie installed shortly after we moved in. Here’s the mess that was under that enormous bad boy. 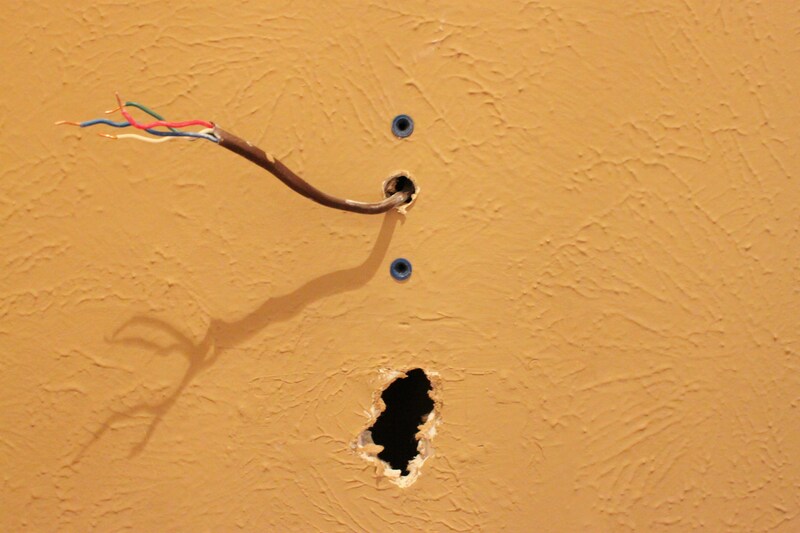 I moved the wires a few inches further up the wall, and attached plastic screw anchors to hold everything on the wall. Jamie attached all the wires per the directions,( I wasn’t really paying attention at this point, think I was distracted by something shiny in the other room), but it seemed pretty simple – I didn’t hear much fowl language. I have no rational reason for the wall changing color in every picture. All finished with the install. Stunning, and it actually …..learns us. It lights up every time I walk by…….it knows when we are at home. “Wasn’t there a big gaping hole in the wall under this thing?” you ask. 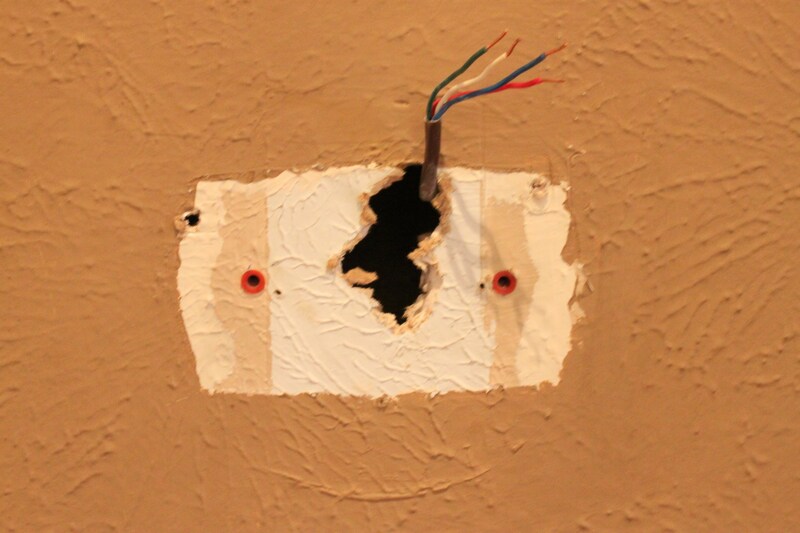 …..check back tomorrow to see where that hole went. 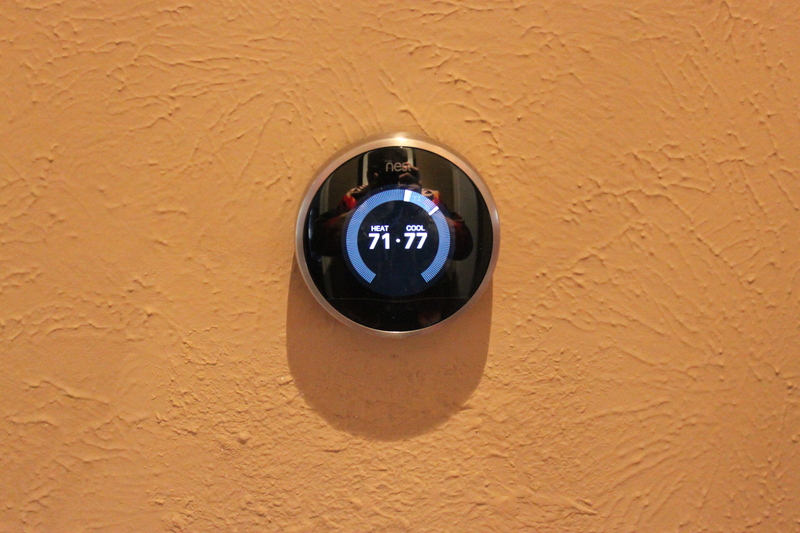 Having said that…I’m really digging this thermostat! How cool are those features? 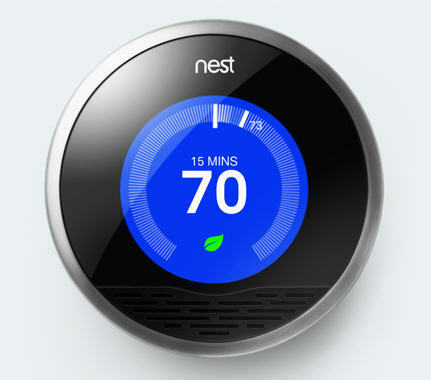 I never knew the Nest existed…I’m curious to know how much your electric bill goes down now. Very nice, a thermostat with the apple aesthetic – our office is full of Apple products so this might just be a really nice add-on. Looks like the installation wasn’t too bad either. Man that thing looks slick.